Bar Bell Exercise is Different Than Competitive or Record Lifting. But Does the Weight Lifter Run Any Risks? In the minds of some persons who are totally ignorant concerning the true facts, a crazy belief exists to the effect that anyone who practices weight lifting or feats of strength either as an amateur or professional is doomed to various terrible physical afflictions, and sudden death. Nothing can compare with an investigation of the true facts, in the face of such ungrounded assertions. If my readers happens to be one of those who consider weight lifting dangerous, I might suggest a question. Have you an idea of the number of athletes killed each year while participating in some of our major sports? 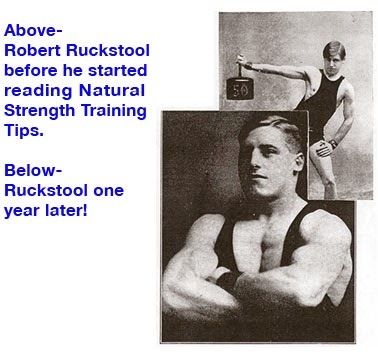 Well, then, we might enlighten you by pointing to some of the awful truths concerning the supposedly more healthful forms of sport which our youths are advised to follow in preference to becoming "muscle bound" from practicing weight lifting. During the football season of 1928, the rather shocking figures show that nineteen players met death! Imagine, the flower of our youth, engaging in a healthful recreation, destined to inculcate the pulsating life of real manhood within his veins! Another recent year showed the greater number of twenty deaths as a result of football injuries. Then our manly art of self defense, boxing, claimed ten deaths during last year. And the American National Pastime, baseball, assisted the grim reaper in cutting off the lives of seven players during the season of 1928. These figures are most reliable, as they were given us by the Evening Public Ledger, of Philadelphia. That newspaper has a library of information where a close record is kept of all important and interesting facts. Sometime ago the New York Times published an article calling attention to the smaller number of deaths and serious injuries resulting from the playing of baseball as compared to other sports. The majority of baseball injuries are of a minor nature, seldom resulting seriously. The great number of football deaths is really alarming when you consider the short duration of the season, about two months, or hardly any longer. Baseball is played for six months out of the year, but it really has a higher ratio than boxing, which is an all year round sport. We have mentioned only the deaths from these three manly sports. How about the thousands who suffer serious injuries? Practically every town of any importance has its weekly major casualties during the football season. Why, you know as well as I, that if weight lifting showed any such figures, the people would rise up and clamor for drastic laws prohibiting the use of anything heavier than one pound Indian clubs or wooden wands for calisthenics drill. Actually I don't know personally of a single death which occurred during or as a result of a weight lifting injury. I remember about fifteen years ago, having seen a sarcastic comment in the Police Gazette to the effect that a strong man had been killed in Germany when a heavy weight fell on his head, or, as I believe they termed it, "ivory dome." Supposing a man was killed fifteen years ago while lifting. Just think of the hundreds who have met death during the same length of time right here in America while engaging in the playing of "sane" sports. We can figure that upwards of three hundred young men have met death playing football; a possible hundred and fifty in boxing matches; and maybe a hundred in baseball. A total of five hundred and fifty, but suppose we be conservative in the absence of authentic figures for the entire period and cut the number in half, two hundred and seventy-five. What can our athletic coaches and trainers have to say concerning the mortality in the sports they advocate in preference to weight lifting and exercising with weights? Don't think we are trying to conceal any figures on weight lifting mortalities. We know that Breitbart died as a result of blood poisoning from an injuring caused by a rusty nail puncturing his back during the performance of his act. That, however, was a strong man exhibition stunt, and not actually weight lifting, but for the sake of argument we will include it as a weight lifting death. Strong men die every once in a while of old age, possibly not at the age of a hundred, but neither does the average person live to be a hundred. Then, there was a famous strong man of nearly fifty years ago, who used to experiment on himself. He would pump the food out of his stomach after a length of time, instead of allowing it to pass on into the intestines. His theory was that after digestion had taken place there was no use of allowing the food matter to remain in the body to putrify and thus poison the system. As you know from studying elemental physiology, the stomach merely prepares the food for assimilation, and nourishment is taken from the food in the intestines. That man died of some form of starvation. That was many years ago. Recently there was a case of a young lad of nineteen dying of impoverishment of the blood from experimenting on vegetarian diets. He was a physical culturist of some sort, but not a weight lifter or bar bell man, even though he pulled autos with his teeth, and id some other crazy stunts. By this I mean the stunts are crazy for a youth who has trained properly, and at any rate such stunts should only be practiced by men who are really strong and have properly trained for strength. There is no sense in classing this last foolish young fellow as a strong man, or a weight lifter. He was a vegetarian, and we have yet to hear of a vegetarian strong man. The case just related completely exhaust our list of strong men or "near strong men" deaths. We know of a bar bell user who was killed in an automobile accident when his car upset out on the public highway going at a high rate of speed. We also were acquainted with a young man of promising ability as a lifter who was asphyxiated in bed from illuminating gas. I suppose that at some time or other, bar bell users have died of smallpox, diphtheria, typhoid, or homicide, but that certainly has no connection with weight lifting injuries. Understand I don't know of any such cases, but suppose it is possible for bar bell users to die in the same manner as a great many other people. Anyway, that hasn't anything to do with the subject at hand, thirty-six deaths in one year directly as a result of injuries in three of our major athletic sports, - football, baseball, and boxing. Countless youths have also done irreparable injury to themselves by participation in these same and other popular forms of sport. I can remember that as a boy, one thing impressed me greatly; the number of men to be seen who walked with one stiff leg due to "water on the knee" as a result of a football injury. I lived in a number of towns and cities as a young boy, and noticed such cases wherever I lived. Figures may be available on the number of men and youths who annually suffer this type of injury; we don't happen to have access to any such figures, but we are sure they would be alarming. Possibly you don't live in a community where you have a chance to observe such cases, but make inquiry around any college or hospital if you want to get an idea of the number who suffer serious injuries, broken limbs, collar bones, ribs, and skulls. In baseball, we presume the majority of deaths result from being "beaned" or hit on the head. We recall being that way once, and if we remember clearly the ball bounced over around third base. If this was any evidence of a "solid ivory dome," we imagine the thick skulled may have led us into weight training. We do not wish to be misunderstood on our attitude concerning sports. We believe in sports and athletics, for those who are qualified to compete. However, we want to point out the absurdity of condemning a healthy and beneficial form of exercise, wherein one or tow may have met death in a score or more of years, while no attention is called to the high rate of annual mortality in some of the favored sports. Twenty deaths in one season from football, when it is quite probable weight lifting would be outlawed if half that number of deaths had occurred in one hundred years of lifting. Right there is the point we wish to emphasize. 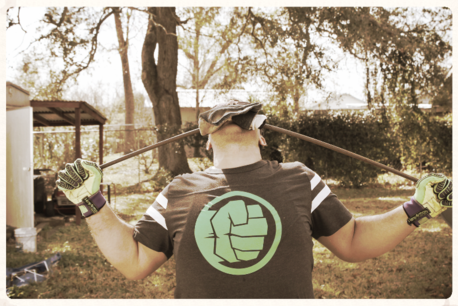 We mentioned a whole-heartedly favorable attitude toward athletics. Certainly; nevertheless, we believe athletic coaches are sometimes too prone to rush immature youths into athletic competition. We don't believe in competitive athletics for school boys, and certainly not in the manner in which such competitions are conducted at present. They may speak of the danger of straining the heart from the use of weights, but why not consider the far greater possibility of causing irreparable injury to the hearts of immature grammar and high school athletes? The strain caused by the excitement and anxiety to win is not a fancy of our imagination. Actual facts will substantiate our statements. The running of a hard race places a strain upon the heart and vascular system in generally that cannot possibly occur during the performance of the most difficult lift. 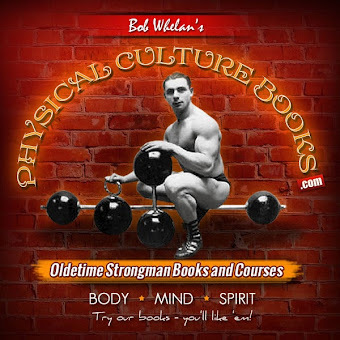 Please understand that all through this chapter we have been referring to actual weight lifting, and not to body-building exercises with bar bells and allied apparatus. There is a great difference in the two, and actual lifting should only be engaged in by the athlete who has properly prepared himself by months of careful training exercises. Moreover, weight lifting is not encouraged among boys of school age. When you practice actual lifting, the heart, lungs, blood vessels, and muscles must work hard, but in the practice of body-developing exercises, no such amount of effort is expended. In lifting, you attempt something near your limit; in bar bell exercising, you keep well within the strength limit at all times. Coming back to our comparison to physical strains in running and lifting, the duration of effort is far shorter in the performance of a lift. If you run a hundred yards in ten seconds, or eleven or twelve seconds, depending on your speed, the excessive strain upon the vital organs endures for that length of time. The furlong is run in twenty to twenty-five seconds, depending on your speed; the quarter mile in something less than a minute; the mile in four and a half to five minutes and so on. The majority of modern lifts require an effort of but two seconds duration; it takes longer to perform a broad jump. Even the slowest of lifts, the Two Hands Anyhow, takes only about a half minute. A man simply couldn't prolong it to a minute with any chances of success, and yet the hardest of all races, the quarter mile, places a great strain on the athlete for nearly a minute. It is undoubtedly true that many of the mortalities in sports occur among those who are improperly prepared for competition. Not so long ago, a Philadelphia newspaper sports writer called attention to the great number of injuries among the contestants in an amateur wrestling tournament, whereas among professionals it is rare for a serious injury to occur. Of course, the crowd is sometimes led to believe the men are suffering pain, but that is mostly hippodroming. As the sports writer mentioned, the professional is prepared through correct training for the strenuous efforts, while the amateurs are sometimes not physically fit to enter a wrestling match. This could be even more true in a football game, but is not so likely in boxing, as the last sport is pretty well supervised and physicians carefully examine the contestants. If a football player has a weak and poorly developed neck he runs a big chance of getting hurt if a few players pile on top of him. The truth probably is that the majority of football players are not physically fit to engage in so rough and dangerous a game. I hope some of my readers don't think I am in favor of pink tea parties or ping pong games for our athletic young men. Not on your life. Football is a fine game, likewise boxing, and there is nothing finer than baseball. Nothing would please me better than to have my son star at running, baseball, and football, but I don't want him to jump into athletics without a proper physical foundation. That is what I am driving at; the youth who is athletically ambitious should undergo a developing program to properly build up his body. Following such preparation the risk of serious injury would be slight. Anyway, it is not entirely sane to encourage immature youths to participate in competitive athletics. Give them a chance to grow and develop. Just where the talk about becoming ruptured through weight lifting originated, we cannot determine, but we have a fairly sound theory to account for it. Around mills, shops, and foundries where men must engage in hard manual toil, quite a few men have the misfortune of suffering a rupture. It is observed that the injury takes place while the men are lifting or carrying heavy, awkward and cumbersome objects. The lifting of heavy weights is put down as the cause of this injury, but the average men knowing nothing of the mechanics of the human boy, makes no effort to determine why the laborer becomes ruptured. It is only in recent years that factory efficiency experts got wise to the truth and had placard printed showing the right and wrong ways of lifting cumbersome objects. 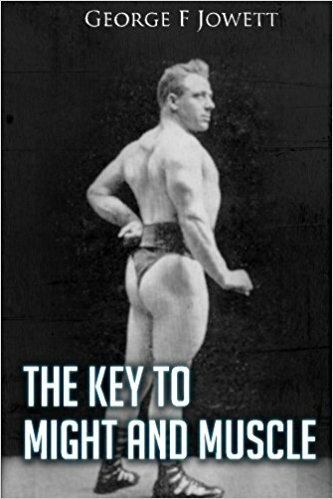 Weight lifters and students of bar bell exercise have long been aware of the truth. Regardless of all the placards that may be hung on factory and foundry walls, laborers still may be observed lifting in dangerous positions. A lack of proper training in the fundamentals of bodily movements is largely responsible. The workman leans over at the waist and with the legs nearly straight when he wants to pick up anything, light or heavy. Just watch any average man at work and you will observe the truth of this assertion. If two or more workmen must carry some very heavy object, they bend over at the waist and struggle along with rounded back. In this faulty position, the abdominal walls are subjected to a terrific strain in supporting the viscera; the back muscles are also subjected to a great strain and as the back is holding the body in the bent position, proper muscular tensions is removed from the abdomen. The muscular walls of the abdomen are then liable to separate, or the inguinal rings may allow part of the large intestine to protrude. The proper way to lift a heavy object from the floor or ground is to keep the back flat and do the bending with the hips and knees; the legs are intended to carry a strain of that sort, so let them do it. 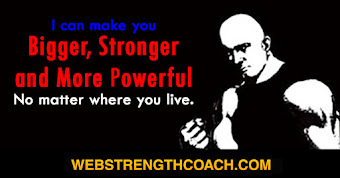 Trained lifters always use this correct position when a hard lift is attempted. Furthermore, the trained lifter is muscularly sound and fit to attempt a difficult lift. If he finds occasion to bend the back, harm is not likely to result. Personally, I do not know of a single instance of a man or boy suffering a rupture as the result of practicing either weight lifting or bar bell exercise. I do know, though, of many cases of rupture having been remedied by means of scientific exercise. If a non-physical culturist tries to scare you by claiming bar bell exercise or lifting will rupture you, put him down as a an ignoramus. If a professional physical culturist tries to tell you the same thing, he is simply trying to make money off you by selling you something in which he is interested. You may have heard another of the foolish notions; to wit, that there is danger of bursting a blood vessel while weight lifting. Permit me to ask you to recall what I had to say a little while ago about the comparative duration of different athletic events. Remember that lifting places hardly any continuous strain on the body. The effort is completed in a few seconds. Then think a while about the duration of the strain upon the vascular system during a hard running race; or in rowing; or in boxing; or in wrestling; or, for that matter, in a hard swimming race. Why sometimes you would think the blood vessels would break during extreme competitive strains in many popular forms of athletics. A strain, no matter how severe, of only a few seconds' duration, cannot compare with a severe strain lasting for minutes. 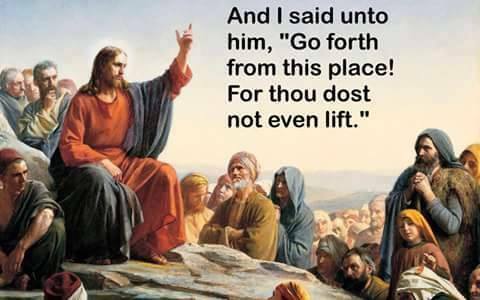 And then, the most pernicious of all the means of knocking weight lifting. Certain professional instructors consider it to their advantage to claim that weight lifting and bar bell exercise unsexes a man. They sometimes even go so far as to state that strong men don't have children, and can't have children. I can only say that personally I am probably acquainted with as many strong man as any individual in America. It would be foolish to attempt to list all the strong men, amateur and professional, who have healthy , normal sons and daughters. A great number of strong men come into prominence while young and single; later they marry, and, as with most married couples, the union is blessed with offspring; they see no reason for shouting the news from the housetops. Having children, after all, is a pretty common matter. I know of only a couple of strong men who haven't children. But ,on the other hand, how about some of the professional instructors who are so cunning as to foster this pernicious story about the unsexed strong man? I can point to some of them who are married, well past maturity, and childless. That, of course, is their own business, and I should not care to say that it meant there was anything wrong with them. However, it should be possible for them to make a living in the physical culture field without using such low down methods of advertising. 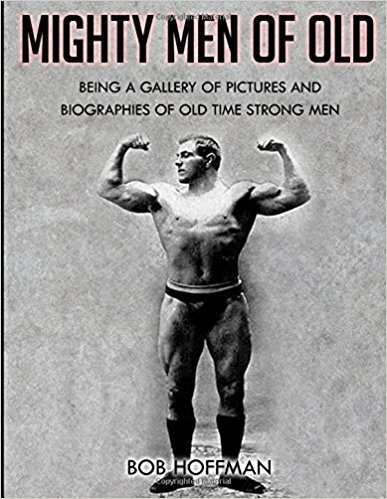 As to the matter of virility, I would say that as a group, strong men are undoubtedly more virile than the average run of normal, healthy men. In my experience as an instructor and consultant, I am privileged to know something of the intimately personal affairs of many men. One case might be cited. 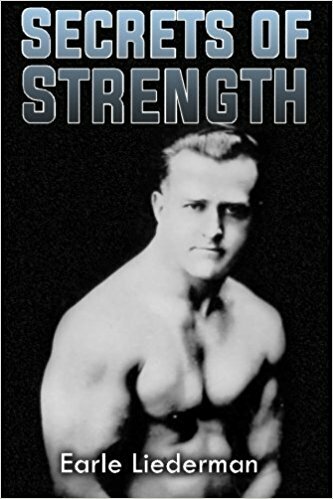 Recently I published in the pages of STRENGTH, the photograph of the child of a lifter in his thirties. The child was born after he had been using bar bells two years, but had been married more than eight years. He proudly called attention to this fact, and was willing to openly give credit to bar bells, but we considered it best not to mention the statement in connection with publication of the child photo. 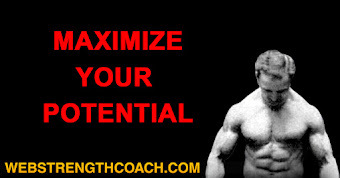 The only danger I can see in connection with the practice of weight lifting is the possibility of becoming conceited. Pride in his strength and the exhilarating feeling of healthful efficiency may lead to over estimate his superiority over his less fortunate fellows. Sometime ago, a French Physical Culture Magazine, know as "La Culture Physique" published an article detailing deaths at an early age of numerous athletes in all branches of sport. Disregarding the boxers mentioned, they listed eleven athletes in such sports as tennis, cycling, soccer, wrestling, and track athletics, at the following ages: 2 at 20, one each at 23; 27, 30, 40, and 44; and 2 at 38 and 43. The attitude of this particular French magazine is that competitive sport is ( as they put it ) an enemy of humanity. It is a peculiar thing in America that a baseball player or a boxer may die between twenty-five and forty, and no one seems unduly alarmed, but if a new item were to appear of the death of a strong man under sixty, various indeed would be the comments.